The U.S. called on Ethiopian Prime Minister Meles Zenawi’s government to re-examine a law that limits foreign funding of human rights and pro-democracy groups, and expressed concern over the closure of the country’s biggest privately owned newspaper. The law cutting foreign funding, which was passed in January, “will constrain rather than promote the long-term democratization, governance and stability of Ethiopia,” according to a U.S. Embassy statement e-mailed to reporters yesterday in the capital, Addis Ababa. Ethiopia has been a key ally of the U.S. in recent years. 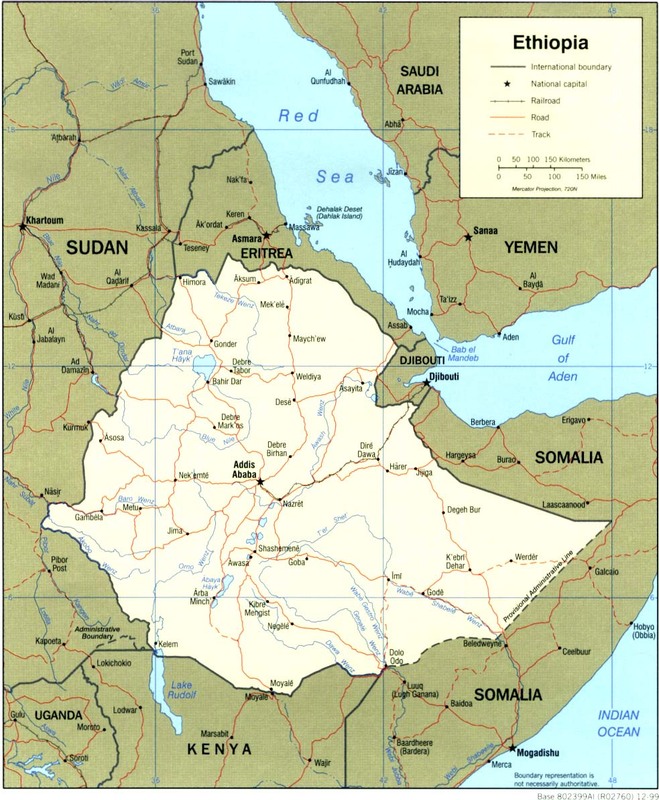 U.S.-backed Ethiopian troops invaded Somalia in December 2006, occupying Mogadishu for two years and assisting the U.S. in pursuit of suspected al-Qaeda members. The U.S. trains Ethiopia’s military and American aid to the country topped $850 million this year. The U.S. criticism comes as political tensions in Ethiopia rise ahead of national elections scheduled for May, which the country’s opposition has said will not be free and fair. Earlier this month, Addis Neger, a newspaper critical of government policies, closed after its top editors fled the country accusing the government of using a new anti-terror law to silence the press. “We are concerned about the recent closure of the Addis Neger newspaper, and the allegations of harassment and intimidation of private media,” the U.S. Embassy said. Shimeles Kemal, a spokesman for the Ethiopian government, denied that Addis Neger reporters had been harassed. Shimeles also defended the new law on funding for human rights groups, saying there was “nothing repressive or restrictive” about the legislation. “It boosts the free operations of home-grown and local non- governmental organizations and it delimits the tasks and functions of international NGOs,” he said. In an interview yesterday, Gizachew Shiferaw, the acting chairman of the opposition Unity for Democracy and Justice, accused Meles’s government of selecting ruling-party militia members and party cadres as election monitors. The National Electoral Board of Ethiopia is investigating the complaint, Shimeles said. UDJ leader Birtukan Mideksa has been jailed since December 2008 after the government accused her of violating terms of a pardon that released her from jail in 2007.